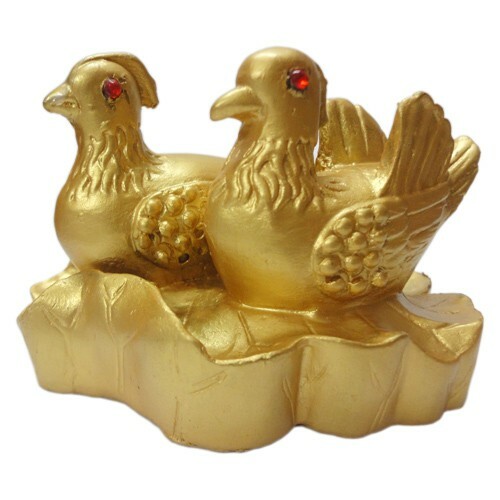 Love Birds (Golden)Dimension = H-2.5 Inches Approx.It is to be placed in the "South West" of th..
Dimension = H-2.5 Inches Approx. It is to be placed in the "South West" of the house or the bedroom. Increases love amongst COUPLES. It brings suitable proposals for unmarried girls if placed on "South West" wall or kept in the "South Wall" corner of the bedroom.